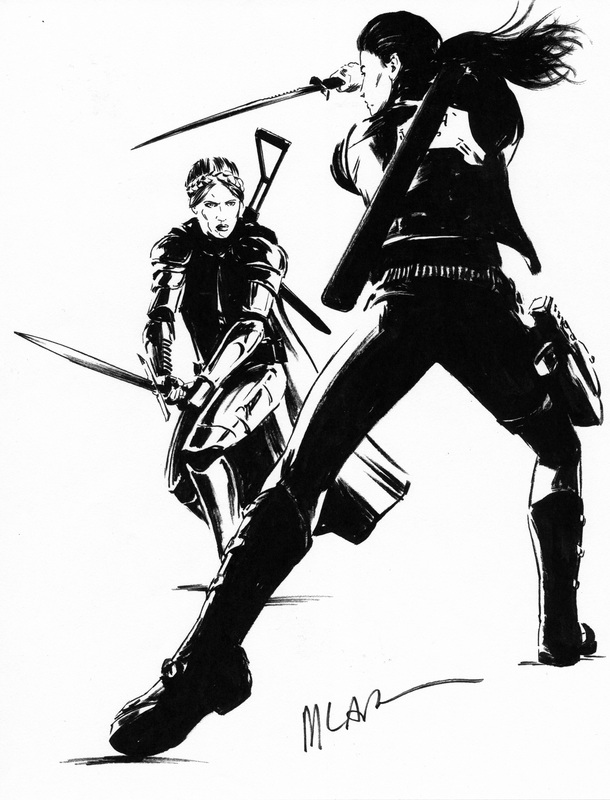 Original sketch work by artist Michael Lark depicting Forever Carlyle, the chief super-soldier of the Carlyle family going up against Sonja Bittner, the chief “Lazarus” of the Bittner family. 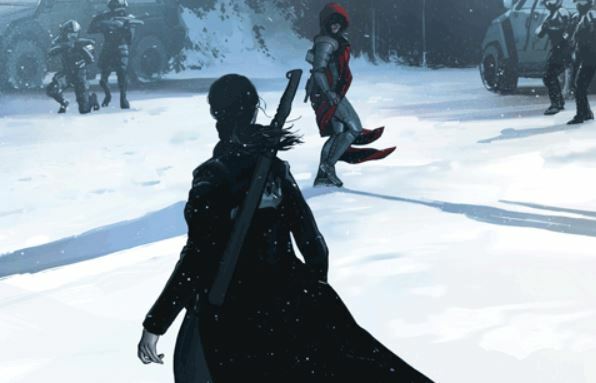 Based on the acclaimed series published by Image Comics. Measures 9”x12” and signed by artist Michael Lark.